A fun two tiered wedding cake in shades of purple and lilac. Hand made sugar models of the bride, groom, bridesmaids and page boys climb a staircase leading to the top tier. 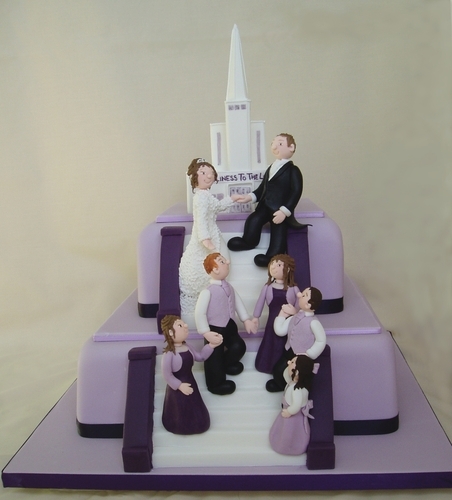 On the top tier is a sugar model representing the church where they are to marry.